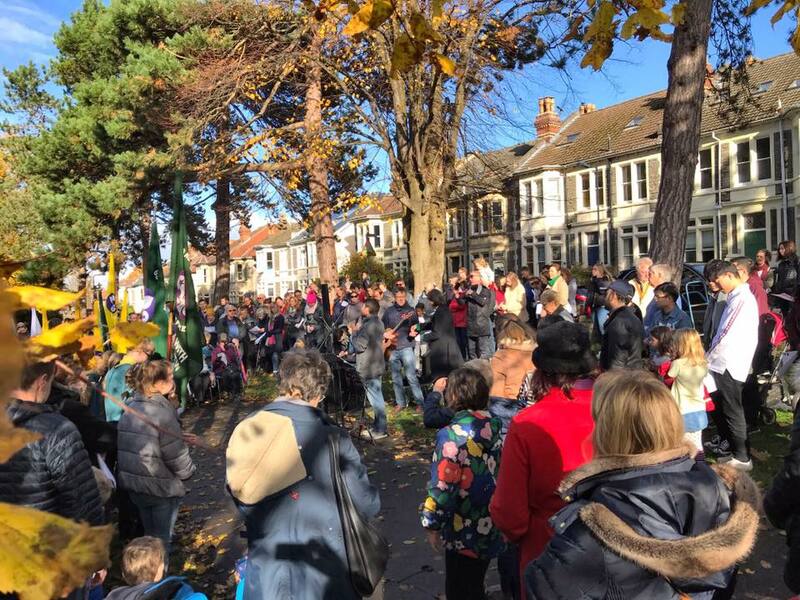 Instead of doing our usual 10.30 gathering on Nov 11th we met in St Andrews Park at the Wellington Bomber memorial for an all-age act of remembrance. Well over 300 people gathered as we sang hymns and songs, listened to a reading, had short talk and a time of quiet prayer and reflection. Was it just that we can’t fit everyone in at 10.30? Well, we may not be far off that point. The real reason we were outside is because Wayne and I read a very big book a few years ago and decided we needed to do something in response. The book is called ‘Paul, the Missionary’ by Eckhart Schnabel (Brilliant name, by the way!). The Public proclamation of the gospel of Jesus Christ. Showing people a new way of living in response to the gospel. The formation of new communities of faith. We reckoned that our efforts at B&A to make disciples and to build Little Churches were the beginnings of an echo of 2. and 3. but we needed to do more to echo 1. So we decided that we would take the opportunity that the end of Christendom still affords us at the festivals of Remembrance, Christmas and Easter by heading into the park opposite the church building to worship and invite others to join us. Last week Wayne preached the good news of Jesus, the one who can truly bring peace. Wayne didn’t get dragged out of the city and beaten within an inch of his life as happened to Paul, but there was an echo of Paul’s public proclamation of the gospel of Jesus Christ.